I’ve been gaming for a long while now and the move to mobile games has certain shown the advantages and flexibility of the platform, with some incredibly highly grossing games found on mobiles, rather than the traditional consoles or computers. It all comes down to convenience and the new microtransaction systems which are largely favoured these days. Never mind getting people to buy your game, that’s so old fashioned, instead allow them to purchase in-game items or content. Generally this being totally optional is preferable, otherwise you end up with games that people pay to win in, which is particularly poor if you’re playing against your friends and other people. Rewards for regular play, a competitive system and an interesting genre are all a necessity for long term success, as people are given something to work towards, often with relatively unreachable (final) goals. 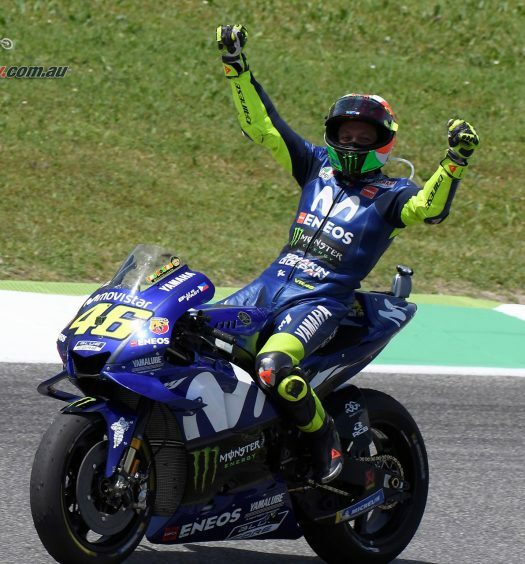 Enter MotoGP Championship Quest, and the Fan Championship. 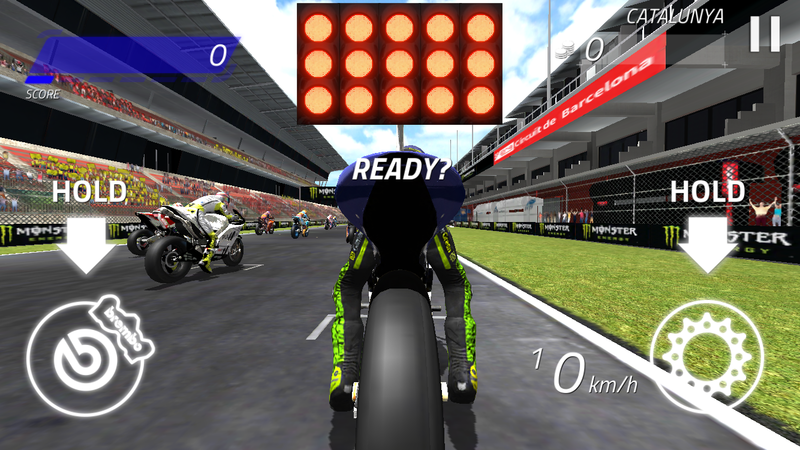 Download the relatively large game (200mb on Android when I downloaded it, so connect to WiFi if you don’t have data to spare) and you’re thrust into the role of a budding racer, picking a bike and sponsor, before taking your skills on track. 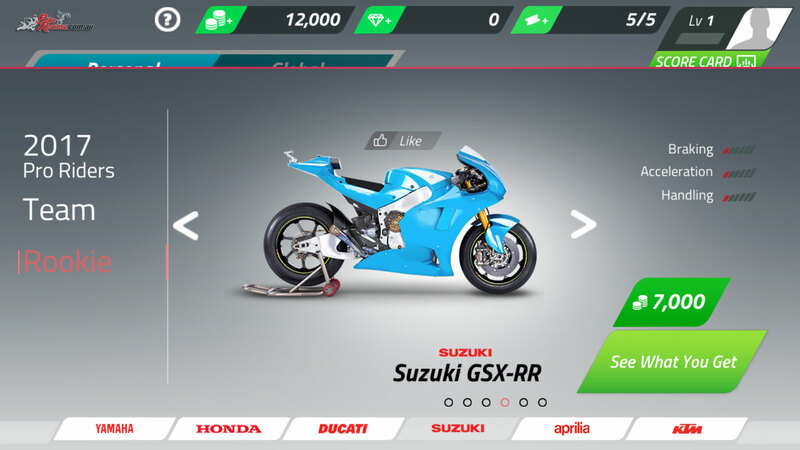 These early choices are somewhat generic just letting you chose a bike manufacturer and single sponsor, as you take part in the early training stages and level up your account. 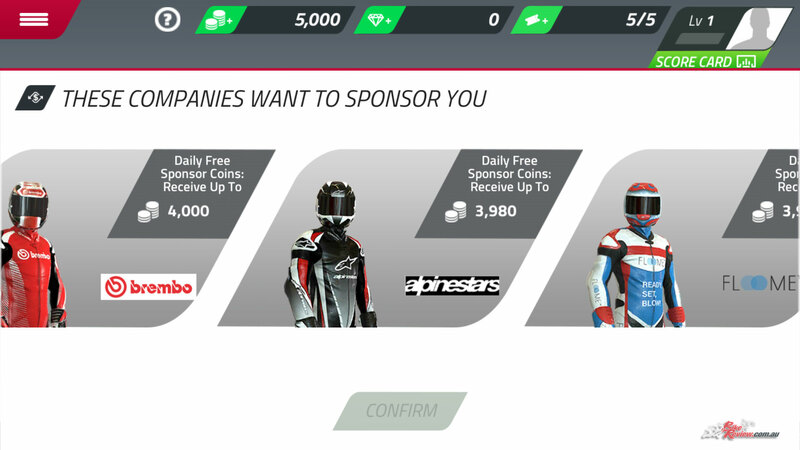 Signing up awards 10,000 starting credits, with my first daily login reward adding an additional 2000, my first race machine sets me back 7000, leaving me with 5000. This is the coins currency, with a secondary currency called diamonds also available. Both are purchasable with real money, so if you’re handing your phone over to your kids make sure they can’t make purchases without inputting a password. 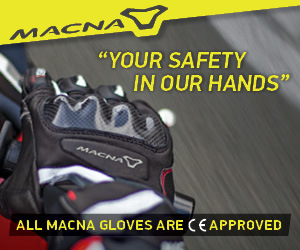 Racing itself offers an experience where you’re controlling your rider and race machine via their acceleration and braking, you don’t need to worry about steering, which sounds weird, but the racing basically comprises of stringing together braking and acceleration combos of different qualities (good or perfect) to hold that inside line and minimise your time around the circuits. Plus you’re awarded coins according to your performance. 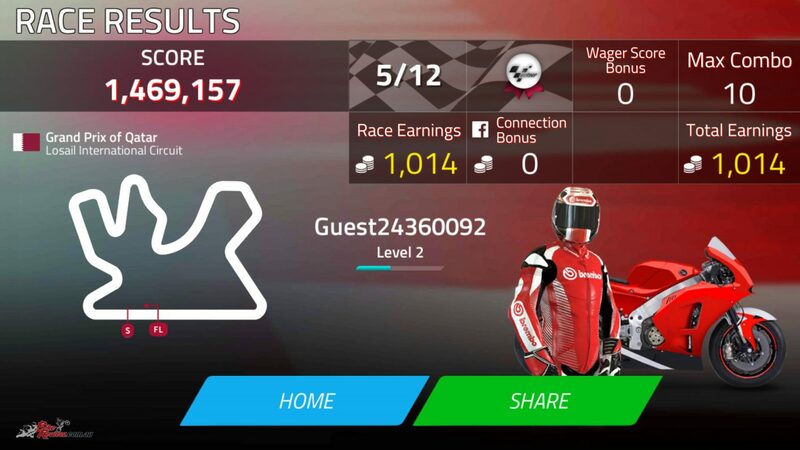 Too slow and you get knocked out of the race, you need to be within a certain amount of time to the leaders to reach each checkpoint, to be awarded time to reach the next checkpoint. Fast enough and you’ll take the number one position, ideally though you’ll be finishing the races so you can collect your coins. 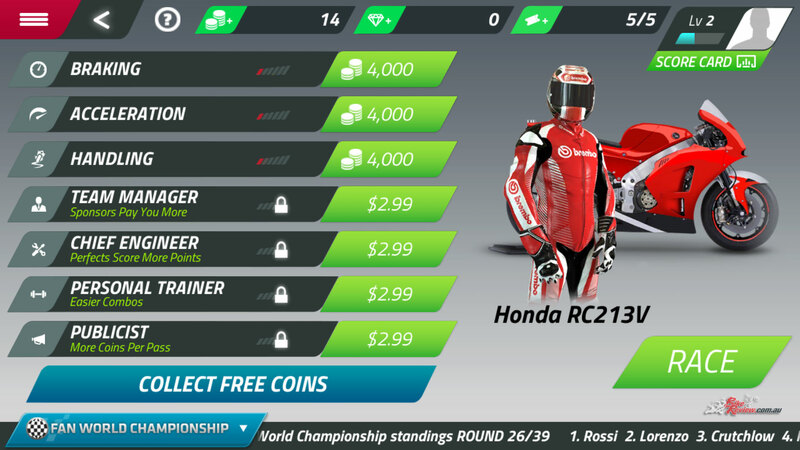 Post-race coins reward, with the option to watch an advertisement to double your winnings. All the advertisements I saw were for gambling apps, which is a bit of a shame in my opinion. 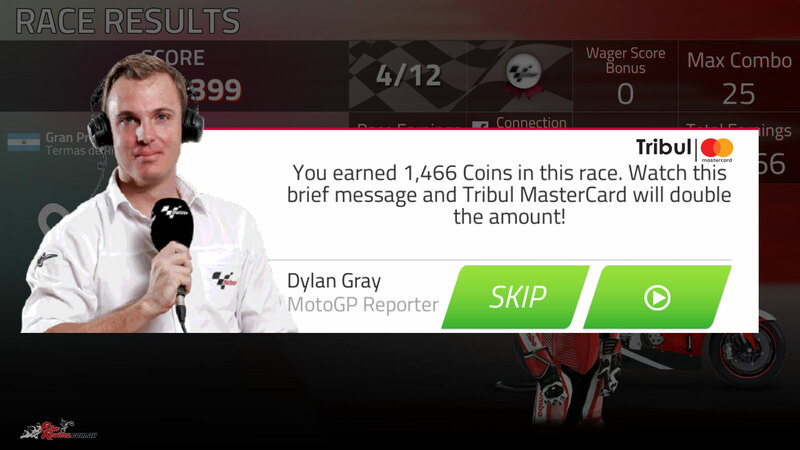 At the end of the race you’ll get your result and the amount of coins you’ve earnt, with an option to watch a sponsor ad to double that number. I was a bit disappointed to find all these ads are for gambling apps, which isn’t very kid friendly, and I couldn’t spot an option to disable this as an option. For me I’d just put the phone down while the ad played though, and come back after. 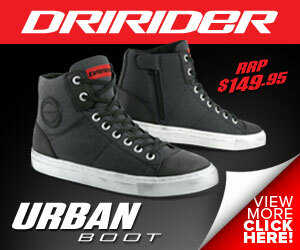 Here you can see the upgrades available, and the various costs, including some that require real money. 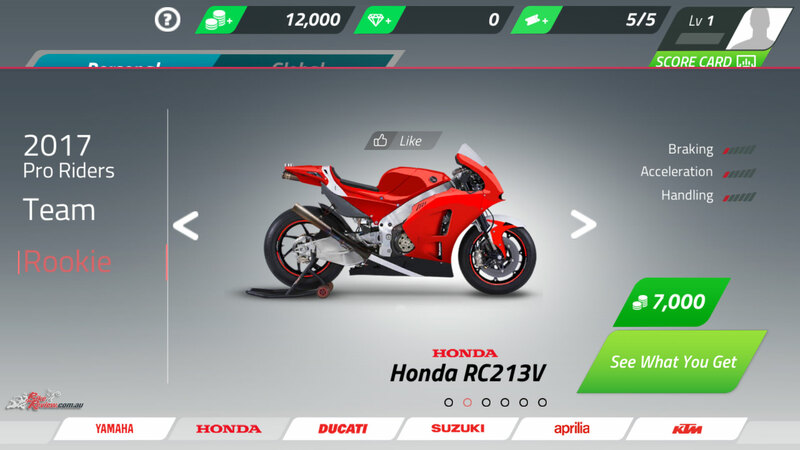 You can upgrade the performance of your rookie bike, using coins, with tiers of upgrades that get more expensive each time. So you’ll need to play more to earn more coin to continue improving. 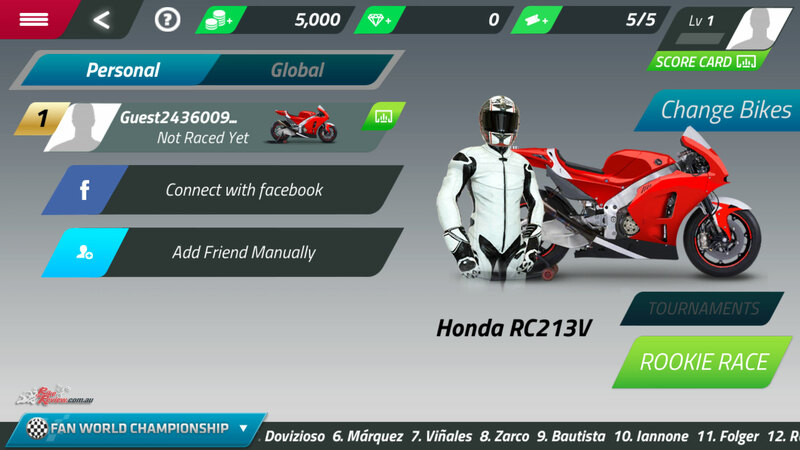 Plus there’s purchasable race benefits, which last a single race or use, where the main updates are a permanent addition. 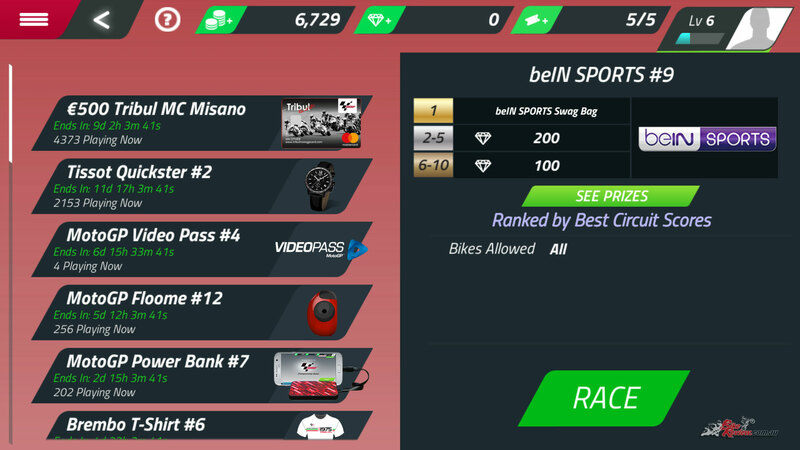 Once you’re a high enough level you can take part in tournaments, with some pretty cool prizes on offer, from currency to the Pro Rider avatars, and real rewards. I’ll admit I was a bit sceptical about the system when I first heard about it, but I can see how hitting those braking and acceleration markers becomes quite addictive to get that perfect lap, and race, leaving everyone in your wake. With plenty of rewards to earn, skills to perfect and tournaments to take part in, there’s a lot to keep you coming back, with a daily reward system helping provide benefits for being an active player. 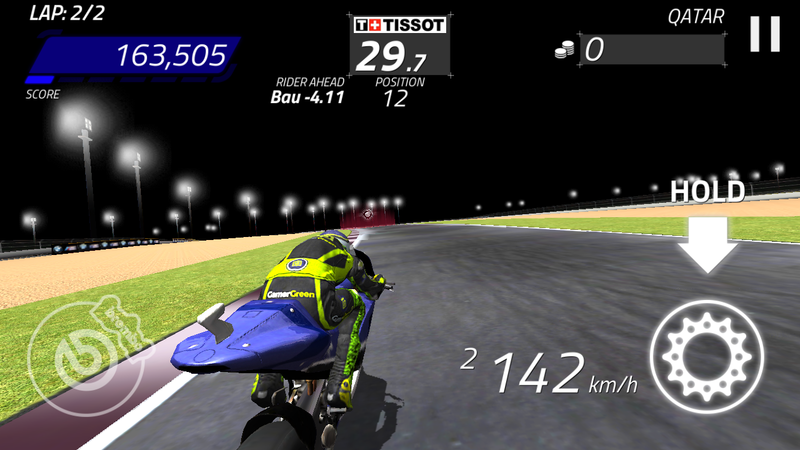 I haven’t had a proper chance to try out the tournament system, but MotoGP Championship Quest is certainly worth a download, and is a good time waster when you’re stuck waiting, whether that’s for a coffee, an appointment, on public transport, or any other number of times. 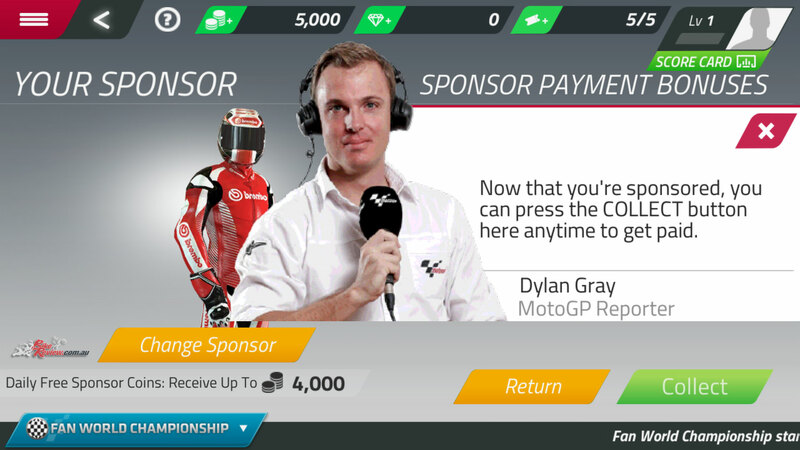 You can download the MotoGP Championship Quest app from the Android or iOS stores for free, however there is in-game purchases and advertising.